The Ball State football team dropped its Homecoming game to the visiting Toledo Rockets 24-10 on Oct. 3. Despite the two-score game, the Rockets controlled the game for the most part. Ball State gained just 262 yards of offense, compared to Toledo's 444. The Cardinals appeared to be set for late comeback, but it fell short in the end. Through the air, the Cardinals threw for 236 yards and one touchdown, compared to the Rockets 164 yards and two touchdowns. Freshman Riley Neal missed a couple reads and threw some poorly thrown balls that could've led to scores. Lembo is patient with Neal's development, but wants to see immediate improvements. He said he will remain the starter for the foreseeable future. Senior wide receiver Jordan Williams had seven receptions for 100 yards and a touchdown. Williams has been winning his matchups on the outside lately with 20 catches for 233 yards and three touchdowns in the last two weeks. Outside of Williams, the Cardinals couldn't get much going. Ball State managed 26 yards on 30 attempts on the ground with no touchdowns to the Rockets 280 yards, 48 attempts and one touchdown. Sophomore running back Darian Green averaged 7.1 yards per carry coming into the game, but finished with just 15 yards on seven carries. Freshman James Gilbert carried the ball 11 times for 29 yards. On defense, the Cardinals had two interceptions. But the offense couldn't capitalize on field position throughout the game. Ball State stayed in the game partially due to penalties, as the Rockets committed 14 for 135 yards. Six of the Cardinals' 19 first downs came from penalties committed by the Rockets. Ball State committed just three penalties for 35 yards. The Rockets move on to 4-0 (1-0) while the Cardinals fall to 2-3 (1-1) on the season. 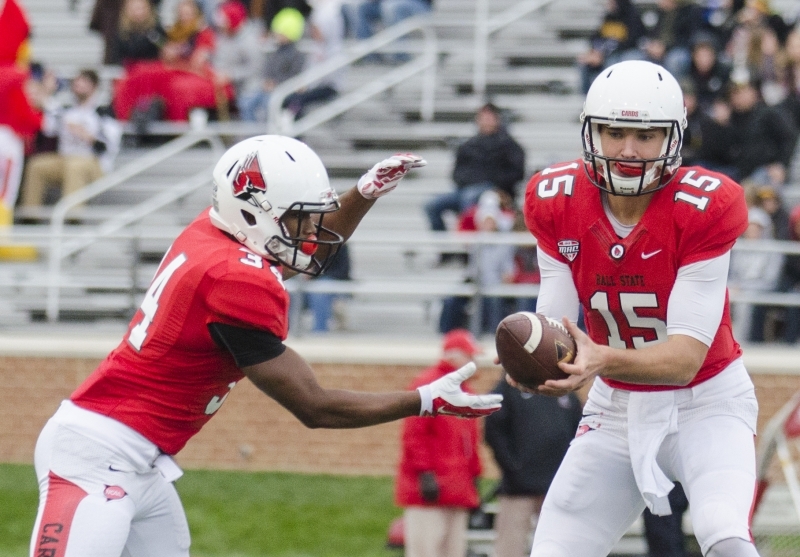 Ball State will face off against Northern Illinois next weekend in Dekalb, Ill.